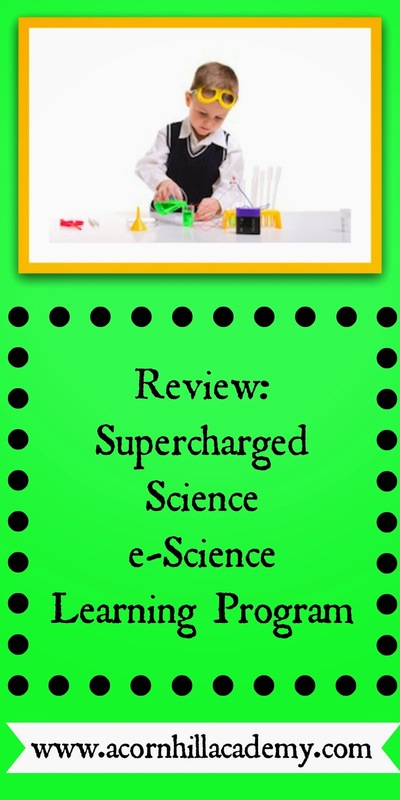 I'm always looking for good science options, so was excited to review the e-Science Learning Program from Supercharged Science. We received a 6-month subscription to the K-12 program. Aurora Lipper is a real-life rocket scientist with a passion for getting kids interested in science. She started out teaching a group of elementary students about supersonic combustion, then held a science camp, and eventually put together her SuperCharged Science program. She has lots of teaching resources on her site, as well as a homeschool blog, and offers an e-science camp in the summer. She is even available for weekly Q&A sessions on the phone! There is a TON of information in this program - over 600 experiments! If you look at it all and feel overwhelmed, Aurora has a nice Science Activity and Video Series put together as a place to start. Each one contains five simple experiments with videos explaining what to do. They're working on adding even more hands-on worksheets for advanced students, which will be equivalent to college and real-life science work. We decided to do delight-directed science this time, and selected some I knew everyone would enjoy, even my 6-year-old. All three of my children really enjoyed the experiments we chose. My girls, at 13 and 14, are old enough to try most of them on their own. 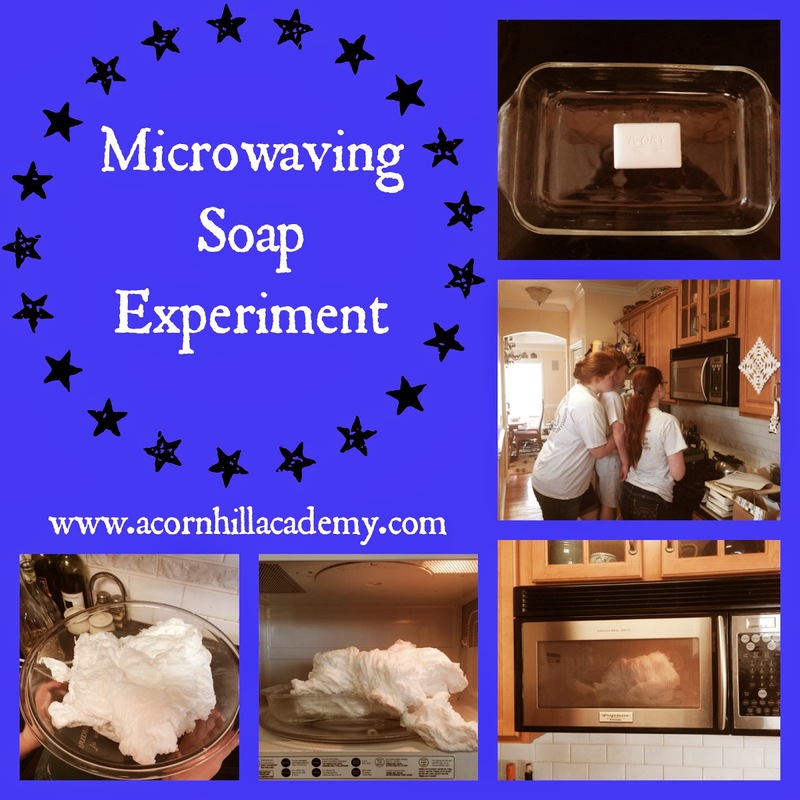 One fun and simple activity was the Microwaving Soap experiment in the "Solids" section of the unit on Matter. I had never done it before, and it was fascinating to see what happened. I only bought three bars of soap, which was probably a good thing because otherwise I'm pretty sure we'd still be trying different variations! As you can see from the pictures, I had a captive audience. There is a lot to love about this program. You're intended to do experiments first, then learn the "why" behind them, which is the best way to learn science. Students are encouraged to keep a science journal with their hypothesis and results, which has been a lot of fun for us. There are is something for every age, and you can have all your children working on the same topic with age-appropriate material. I love having the experiments available to use alongside whatever science we have, and it would also be an excellent stand-alone science program. Most of the supplies needed are common household items, and if they're not, links are provided for ordering online. The only real drawback is the cost. The monthly cost is a significant chunk of our homeschool budget, and while science is obviously important, it's not the only important thing. The e-science Premium Membership is available for $57 per month for grades K-12, or $37 per month for K-8. When you sign up, you're given access to 1-2 levels per month, but if there's a topic you'd like to cover and you don't have it yet, you can just email them and they will get it set up for you. Note: because this is an online program, there are some technical requirements you'll want to check. If you'd like to see what using Supercharged Science is like, click to sign up to receive a free copy of Aurora's Science Activity Video Series and Guidebook. Also, Aurora is offering a fantastic special: try e-Science for one month for only $1! Click here to find out how to take advantage! 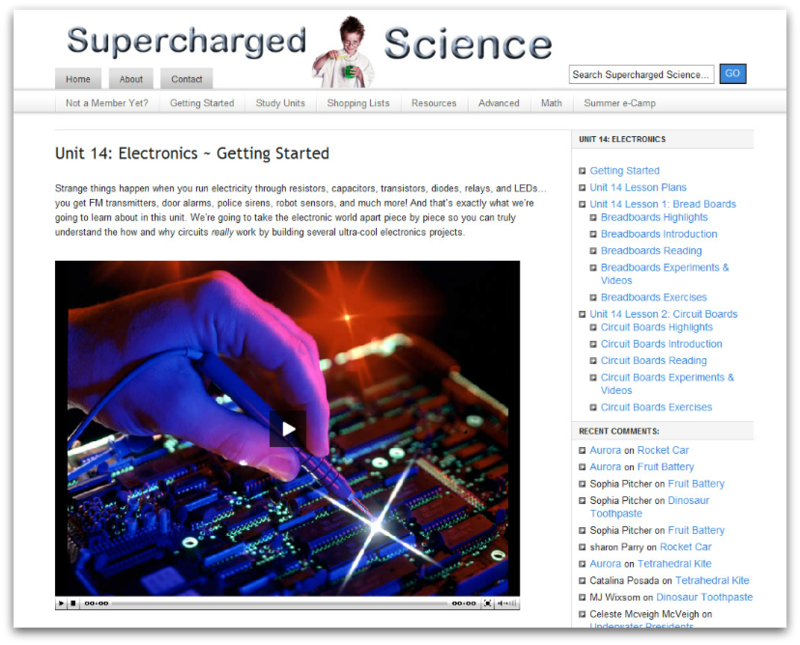 Connect with Supercharged Science on Facebook, Twitter, YouTube, Pinterest, and Google+. Don't forget to check out their blog!